I’ve said before that I struggle with breakfast. Cereal just doesn’t do it for me, I can never be arsed to cook bacon or anything and sometimes you need something more substantial in your tummy than a fruit salad. That’s why I was delighted when I discovered eggy bread. Takes about 5-10 minutes, can be flavoured differently to suit your mood and is definitely absolutely scrummy. I now have it a few times a week. Delicious. Beat and egg with a sprinkle of sugar/sweetener and, if using, some spices. 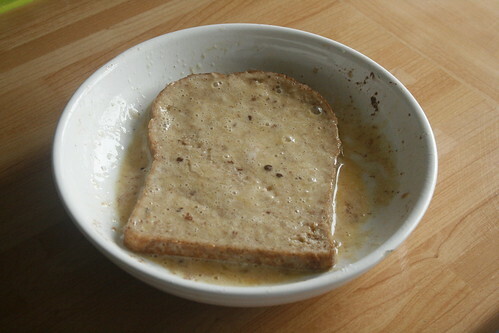 Then soak the bread in it, both sides, until the egg is all mopped up and the bread is saturated. Heat a frying pan until it’s very hot, then turn the heat to medium. Either spray with Fry Light or melt a big knob of butter in the pan. 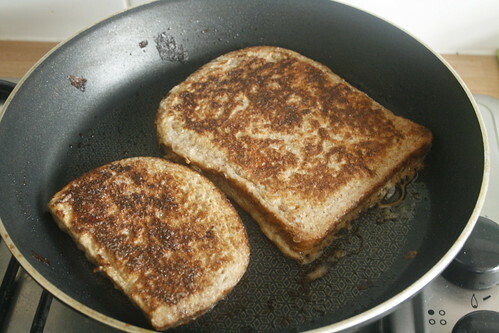 Then fry your bread, flipping it over so that both sides get nice and golden. I like to top mine with a little fruit, usual frozen mixed berries that I’ve stewed gently just so they’re soft and warm through. 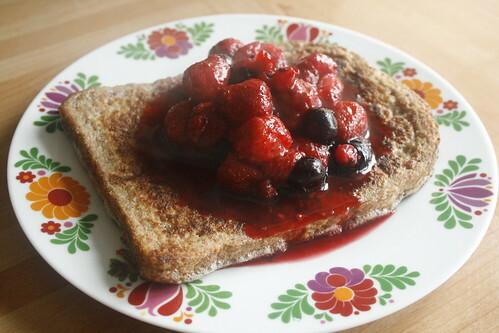 I love eggy bread but I have never done it with cinnamon so that is my next weekend breakfast! 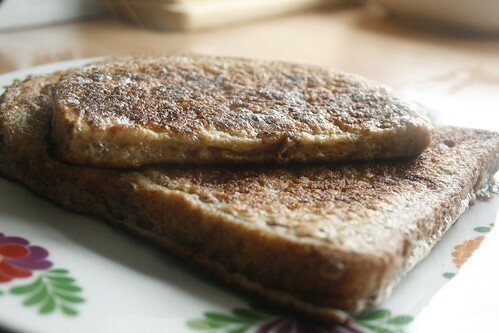 Mmmmmm eggy bread takes me back to being a kid! My granddaughter loves this but I add cream to the egg mix which makes it even more delicious!